Cosmopolis is a surreal, dialog-driven film that will likely prove frustrating to most mainstream audiences, but may well be satisfying, or at least intriguing, to adventurous filmgoers. The plot of Cosmopolis is simple enough. Billionaire wunderkind Eric Packer (Robert Pattinson) wants to get a haircut, hops in his limo and spends the rest of the film traveling across New York City to his favorite barber. In most films, a trip to the barber would be but a jump cut away, but not this one. You see, NYC is experiencing record gridlock thanks to a presidential visit, a celebrity funeral procession and an #Occupy style protest. In this climate, the limo may not be the most practical mode of transportation. Eric’s wife manages to shop at a bookstore and catch half of a play in less time than his trip across town. Since Eric is in it for the long haul, he conducts several meetings in his limo, picking up an assortment of off-kilter passengers as he makes his way across town. Most of the film is spent in the limo (and the film is shot as interestingly as possible) detailing Eric’s meetings. Eric not only meets with his wife (Sarah Gadon) for several meals, he consorts with his IT manger (Jay Baruchel), a stock anaylist (Samantha Morton) and his doctor among others. Their discussions are long and winding, about everything under the sun, from stocks to the nature of capitalism to dreams and beyond. Eric seems both disinterested in losing money and the people displaced by his destructive form of capitalism, but perhaps there is something boiling beneath the surface. The most striking feature of this film is the dialog, and when the majority of a film's run time is spent in a vehicle, it better be. Characters in Cosmopolis seem to use flashy, precise language, yet remain completely detached from their conversation partners. When discussing analytics, for example, the dialog veers into the direction of science fiction. The result is that sometimes the dialog seems poetic and sometimes it seems, frankly, like babble. It’s nigh impossible to absorb all of the complexities of the film's use of language on one viewing so it's tough to say if anything could have been done "better." It's a great credit to these actors to do as well as they have, since this is some very difficult material. No one speaks the way these characters do in real life. Cosmopolis is written for the screen and directed by David Cronenberg, based on the novel of the same name by Don DeLillo. From what I gather, the film is a fairly faithful adaptation of the book (which I have not read). Although the book was originally written in 2003, Cosmopolis has become topical with real life Occupy protests catching national attention. 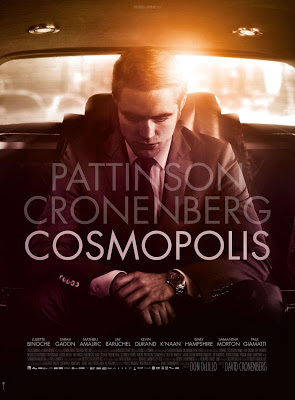 Cosmopolis is hypnotic, intriguing and challenging. The dialog is at once both intelligent and bordering on self-parody. 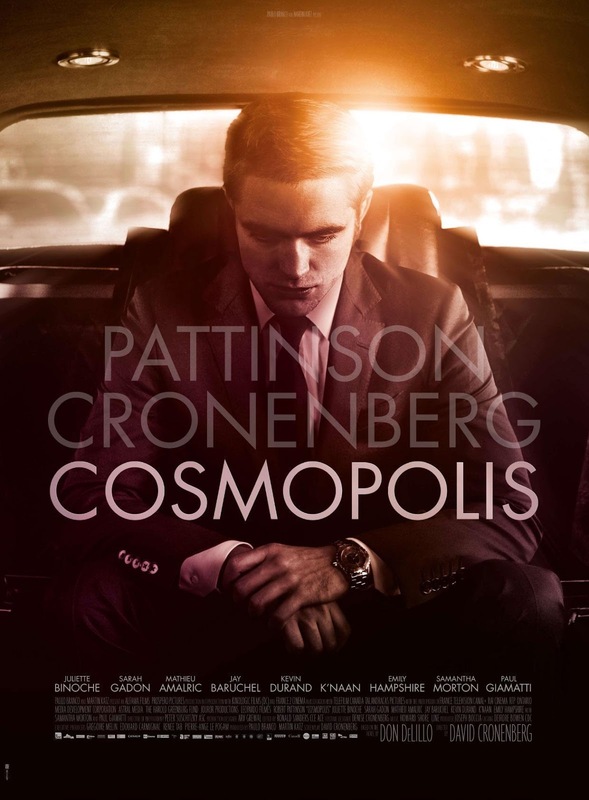 For a surreal look at the 1%, Cosmopolis is your film.